If you haven't heard of Resurrection Cookies before, you and your children are in for a treat. I've been making these cookies for years with a class I teach at my church. Make sure you start the cookies the night before Easter and they will be ready in the morning for you and your family to enjoy. 1. Preheat oven to 300F. Place pecans in zip lock bag and let the children beat the pecans with the wooden spoon to break into small pieces. Explain that after Jesus was arrested, he was beaten by the Roman Soldiers. 2. Let each child smell the vinegar. Put one teaspoon of vinegar into the mixing bowl. Explain that when Jesus was thirsty on the cross he was given vinegar to drink. 3. Add egg whites to the vinegar. Eggs represent life. Explain that Jesus gave His life to give us eternal life. 4. Sprinkle a little salt in each child's hand. 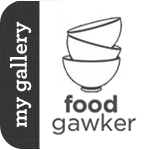 Let them taste it and put a pinch into the bowl. Explain this represents the salty tears shed by Jesus' followers and the bitterness of our own sins. 5. So far the ingredients are not very appetizing. Add 1 cup sugar. Explain that the sweetest part of the story is that Jesus died because He loves us. He wants us to know and and belong to him. 6. Beat with a mixer on high speed for 12-15 minutes until stiff peaks are formed. Explain that the color of white represents the purity in God's eyes of those whose sin have been cleansed by Jesus. 7. Fold in the broken nuts. Drop by teaspoons onto wax paper covered cookie sheets. 8. Put the cookies in the oven, close the door and TURN OFF THE OVEN. Give each child a piece of tape and seal the oven door. 9. Explain that they might feel sad to leave the cookies in the oven overnight. Jesus' followers were in despair when the tomb was sealed. 10. On Easter morning open the oven and give everyone a cookie. Notice the cracked surface and take a bite. Inside the cookie you'll find a small hollow hole. Explain that on the Easter Jesus' followers were amazed to find the tomb open and empty. *Update 5/23/15: This year I substituted the pecans for mini chocolate chips. Many kids in the past complained about not liking nuts. I also had the problem of not being able to use nuts in the classroom I would teach this object lesson in. Chocolate chips fixed both problems. Instead of hitting the nuts in a bag, I had the kids bang on mini Hershey bars. 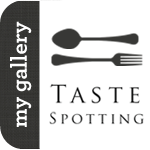 found you on tastespotting! how beautiful the cookies and the story of Christ! I plan on doing these tomorrow. I love doing these. Beautiful photos! Good idea! Hope you have a great blessed Easter!!! I love making these! have you seen the tombs? I love it if you add this! These are a great idea, I will definitely try this next Easter. Thank you for that post. I found your blog on Sweet as Sugar Cookies link up. Oh, this is so cool! Thanks for sharing! We've used these cookies to teach the Easter message to kids too and it was a hit. Thanks for linking this up to Sweets for a Saturday. How long do I bake them for? Can I do it for a Sunday lesson and be ready by the night time sermon lesson for my kids? Set the oven to 300 degrees (step 1). Then in step 8 you turn off the oven. So essentially these bake in the oven over night slowly with the remaining heat in the oven. If you give them at least 8 hours in the closed oven, they should be ready by the evening. I usually bake mine the night before for our lessons the next evening. What you could do is bake them without turning off the oven for 5-10 minutes at 300 degrees in the morning and then turn off the oven and keep them there until later. 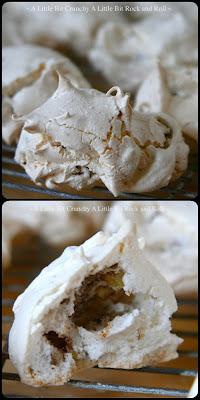 They will be a little more dry like a traditional meringue instead of the crunchy/chewy texture that these are. I got about 35 cookies using my large (1.5 inch) cookie scoop. You can make them smaller to get more out of a batch. We did these when my kids were little. We used a granola bar since my boys were allergic to nuts. I’m excited to try it again this year with my grand daughters!